An increasing number of contributions to the open-source Linux kernel are coming from mobile and embedded equipment vendors, according to an annual report about to be released by the Linux Foundation. "This rise in development of Linux sponsored by embedded/mobile companies and their suppliers reflects the increasing importance of Linux in those markets," asserted The Linux Foundation in its annual "Linux Kernel Development" report due to be released Wednesday. Companies such as Nokia, Advanced Micro Devices, Texas Instruments and Samsung have all been contributing an increasing amount of code to the project, the Foundation notes. Since version 2.6.30 of the kernel, released in June 2009, Nokia has submitted 1,173 patches, or about 2.3 per cent of all the changes to the kernel. AMD has submitted 860 changes, about 1.7 per cent of all the changes, and Texas Instruments has submitted 775 changes, or about 1.5 per cent of all changes. While the number of changes these hardware manufacturers have submitted remains relatively small, it is growing, and reflects an evolution in the Linux kernel user base, the report argues. 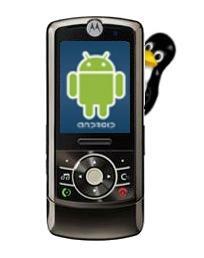 Linux forms the basis of the popular Google Android mobile operating system, used in a wide variety of phones. It is also the base for MeeGo, a project started by Intel and Nokia to build an OS for low-powered and portable devices. Companies such as Sony, Nokia and Samsung have also been increasingly using Linux for consumer electronics devices, such as video cameras and television sets. Overseen by creator Linus Torvalds, the Linux kernel is what the Linux Foundation calls one of "the largest cooperative software projects ever attempted." Since 2005, more than 6,117 individual developers from more than 600 different companies have contributed to the kernel. The nonprofit Linux Foundation, founded in 2007, fosters the development and management of the software. When it comes to corporate sponsorship, Red Hat currently leads the pack in terms of contributions. Since version 2.6.30, it has contributed 6,219 changes, or about 12 per cent of all changes. Coming in second place, Intel has contributed 4,037 changes, or about 7.8 per cent of all changes. Other heavy contributors include Novell (2,625 changes), IBM (2,491 changes) and Oracle (995 changes). No company on its own, however, matches the number of changes contributed by independent developers, who, overall, contributed 35,663 changes, or about 18.9 per cent of the whole. Overall development of the kernel has slowed somewhat since 2.6.30. Version 2.6.30 saw 11,989 patches, an all-time peak, while the latest version, 2.6.35, saw only 9,801 patches. The report attributes the slowdown to the completion of a number of large projects, such as the incorporation of the ext4 file system. The size of the kernel continues to grow, however. The latest version has 13,468,253 lines of code, more than twice the size of 2.6.11, released March 2005, which had 6,624,076 lines of code. While more than 6,117 developers have contributed to Linux since 2.6.11, their contributions are not equal. Over the past five years, the top 10 individual developers have contributed approximately 10 per cent of the total changes. Since 2.6.12, Red Hat programmer David S. Miller has contributed the most changes, 2,533, or 1.3 per cent of all changes made to the kernel. Interestingly, Torvalds, who has committed 886 total changes in this time frame, isn't even in the top 30 of contributors.